I'm so sorry for those who cannot access to FB but here's a beauty vid of an anomaly happening...OR is that caused by some wind?? But the guy who took the footage said there was no wind. This sorta activity has been reported in many countries, I believe. "Father-of-five Ian Hawke, who feared his home was haunted, had cups and plates thrown at him by an apparently angered spirit when a paranormal activity investigator came to visit"
"A BIZARRE image is going viral online after mysterious figures appeared in the clouds above New York." 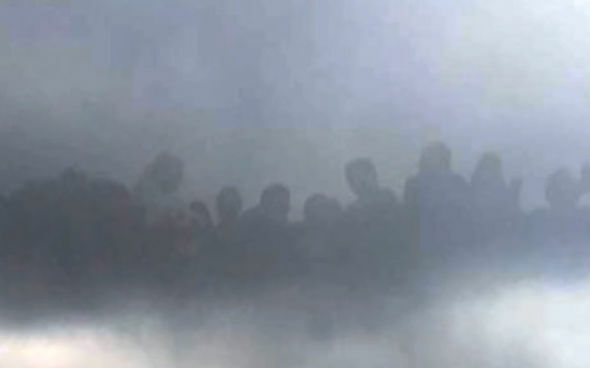 "The photograph, said to have been taken by a resident of the Big Apple, shows what look like a crowd of giant silhouetted humanoids in the sky over the city. YouTube channel Paranormal Crucible was one of the first to share the images. In a video, the channel's narrator said: "A possible paranormal event has been reported over the skies of New York. 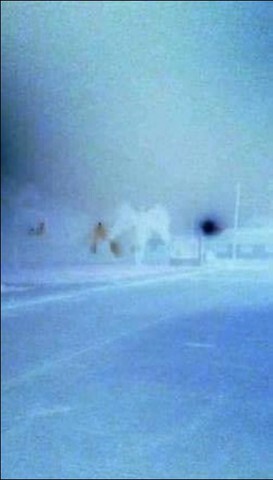 "The mysterious phenomena photographed by a city resident appears to show a group of humanoid figures nestled in a thick layer of luminous clouds. "If we look closer, we can clearly make out a large crowd of humanoid figures who appear to be observing the city below." The images bear similarities to a floating city filmed appearing over China last year, which some suggested could have become visible through a portal to another dimension. The narrator added: "Many famous researchers have theorised that alternate dimensions, given the correct conditions, can briefly appear and manifest into our own reality. "If this is true, then this remarkable image is further evidence that alternate realities do exist and multi-dimensional human beings do indeed inhabit these mysterious realms." 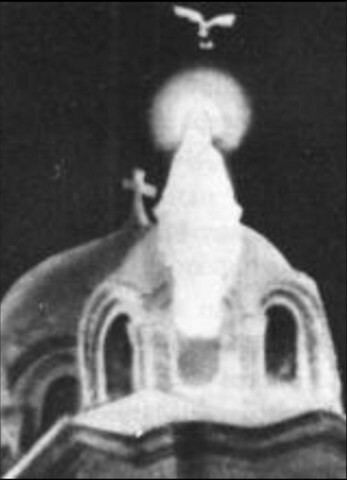 A promotional blurb for the video said: "Very strange image which appears to show at least a dozen humanoid looking beings hovering in the clouds. "Is this proof of an alternate reality that exists just outside our own? Is this a conspiracy case after all? I feel this is a CG. Anyway it went viral in Aug 2016. With the vid below, I'm sure you can all see it's a CG job. "Eye witnesses and theories from the internet range from the divine to the supernatural to the mundane. Is it Jesus walking on water, an oil rig … or perhaps a ghost ship? With the Great Lakes’ history of shipwrecks the idea of a paranormal visitor can catch on quickly. On a fall color tour in Michigan’s Upper Peninsula Saturday, Jason Asselin and his friends were watching a rainbow when another sight caught their eye. At 200x zoom on his camera Asselin said he thinks the object would be “hundreds” of feet tall. It clearly resembles a tall ship. “There’s no ship that big,” he adds. The resemblance to tall sailing ships isn’t lost on Asselin and he notes the coincidence of the object appearing so close to Columbus day. “Some people said it might be a mirage, but for that to happen conditions would have to be perfect.” said Asselin. A specific kind of mirage called Fata Morgana can cause one or more mirror images to stack elongate objects on the horizon. Not sure on that one Breezy. Bodily actions and movements look more like a human in suit to me. This is one of those times. I ran across this article today. I'm not going to say anything, other than how I went what the heck, as one of the cards on that 2017 Economist Cover cover contains one card with something that looks similar on it. I've heard about this before, so it's not new to me. Perhaps someone has the ability to prove the pictures are fake, I don't. Grains of salt, could be required. "POINT PLEASANT, WV (WCHS/WVAH) — Hunters in Mason County may need to be on the look-out for something other than deer, when they hit the woods this week. The Point Pleasant Mothman is a local legend--that over the years--has gained world-wide fame. There hadn't been any recent sightings of the red-eyed creature recently, but that changed Sunday evening, when a man who says he was driving along State Highway 2, saw something jump from tree to tree. He pulled off the road and snapped some pictures. The man declined an on-camera interview but was adamant the pictures had not been doctored." Anti-NMDA Receptor Brain Inflammation=Exorcist Girl?? And the family wants us to know about the disease, so medically it can be tamed a lot to have normal life again...so the lives can be saved from deadly Exorcisms in the world. No subs but you will be amazed to see what she suffered from...the horrific involuntary violent moves of whole body and all....that's looking like a life of hell for sure. All good luck to her for the path of concrete recovery!!! WoooHooooo!! Now, that was the rosy part. The thing is...I'm absolutely not sure if the disease applies to all the "Exorcism-Requiring" cases. What do you do with apports and other weird stuff happened? I'll cross post this article to a Reincarnation thread. Lo and behold, the boy led the elders to the exact spot, a pile of stones, under which there lay a buried body. The buried man’s skull showed a split in the front. The boy also led the group to the spot where the axe was buried, forcing the accused killer to eventually confess his crime." Hoax - Real? I don't have the expertise needed to prove either, what are your thoughts? I think the photo looks like it was taken with a potato. So there's no way to tell what it is. Also, I find it strange that the person who posted it on FB didn't provide any details surrounding the taking of the photo. If you saw a giant with wings and got it together enough to take a picture, I would think you would say more than “What the hell do you see in this picture for reals??? 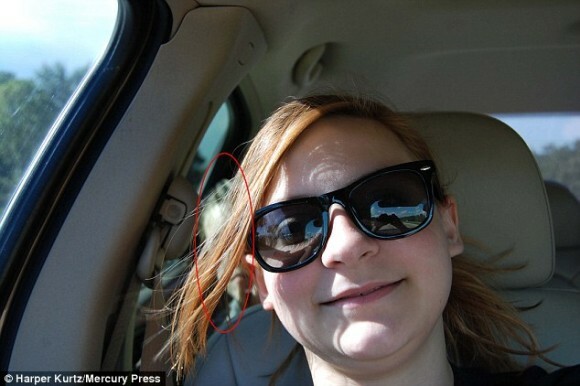 Anybody"
What were the circumstances surrounding the taking of the photo, etc? It reminds me of the "What color is this dress" kind of photos. It could be some sort of Christmas decoration that gives an optical illusion in the photo. Or who knows what. Without more, I can't get excited about it. Thanks for your thoughts kande. I know there are some creative people out there, and the person just asking what was it, is a good point. knowing if I had seen it, well, you can imagine what my words would have been. Some more images the original poster Mr. Richard C. posted. 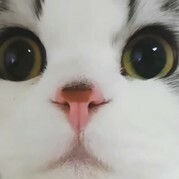 (c) goes to him. Thank you Richard! Er.... the thing really looks do exist there having some sorta mass, hey, if this was made from the original image...but well, I'm no pro for the analysis. And this is getting CHANI twist into the story, but I wondered if this is connected to the Mothman sighting in recent time. Though the figure actually looks more humanoid body line than what we were told about how Mothman looked like, just because it's so weird to see anything like that animated in our reality and really truly be there in front of our eyes, surreal/fantastic taste contributes to the blurriness of image that was grasped when the sighting happened. My eyes were just stuck on her butts for that awesome moves, missed the actual action completely the first time....in fact I had to watch it 3 times to realise it's a shadow being appearing from right hand side, moving an arm. It must got intrigued by the same thing as I did. A selection compiled from Thailand's footage. The vid below was over the top!! A lad died and friends brought his motorbike to the funeral. The bloody thing is NOT IDLING. The dead friend appears to the friends' party scene...with the crushed face. The article explains the whole lot. Enjoy reading through....! The page contains lots of images you can see. A miracle. Lile 250,000 people who are from different paths came together to witness the miracles, and they all were united by their belief on Mother Mary and Jesus. The hardship given upon Coptic people are insanely harsh. Such awesome people to go through such horrible treatments and oppression is heart breaking....but I guess because of these miracles they witnessed, they could go on with their faith. So the miracles were installed to "warn" the Coptic people....? Or they happened because that was necessary for the Copts to sustain themselves under the oppression around the world...?